Toronto had a mild winter last year, and the real estate sales was hot too. Unfortunately, it is not the case this year. Thanks to cold and snowy weather this winter. Buyers could use some warm incentive to keep buying the real estate. That’s what the builders has started doing. Some of the builder’s offer incentive to buyers or investors. The savings are phenomenon. Some of the builders offer over $35,000 in incentive. Yes you read it right, $35,000. If you are a buyer or investor in the market and want to take advantage of these savings talk to your real estate agent. 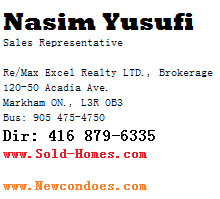 To receive updates like these please register at www.newcondoes.com.